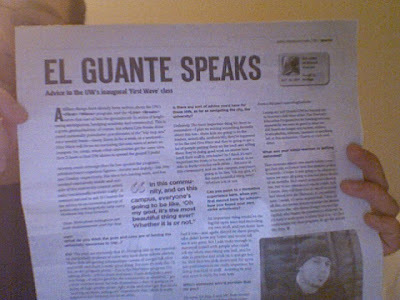 Dane101.com: When El Guante Leaves Madison He May Take His Voice But He'll Leave a Legacy. 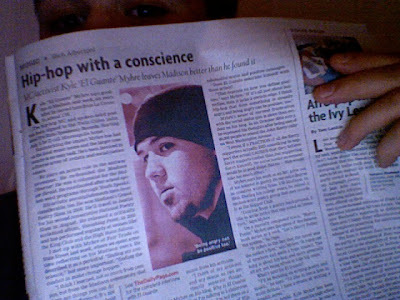 thedailypage.com: El Guante takes leave of Madison. Emcees Without Voices: Snoop Bloggy Blog. 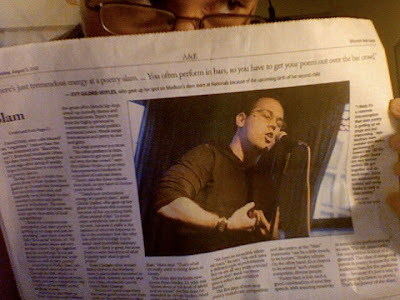 Emcees Without Voices: El Guante thinks he's better than kids. Isthmus Ombudsman: El Guante eats mad food. It's amazing what you can do when you know how to write a good press release and have no humility. i just noticed that that middle picture of me performing really looks like the emperor in star wars shooting lighting out his hands. did we meet before or after you talked to Albertoni? 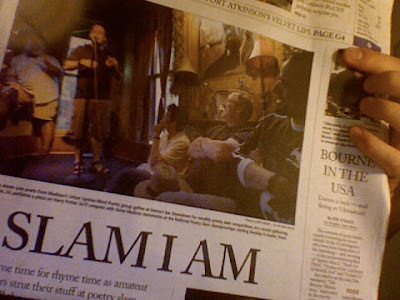 My ego assumes that I subliminally prompted the Daily Page Taste of Asia shout-out, but I figured I'd double-check. 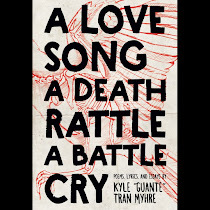 And yeah, more on Dane101 forthcoming, just been dragging my feet. yeah i talked to you first. i guess i just talk about chinese food in every interview i give. that's love. i don't understand. 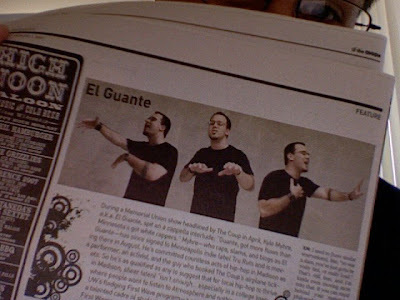 did you change your name from "el guante" to "El Guante"? What would happen if bell hooks did that? WHAT WOULD HAPPEN? !